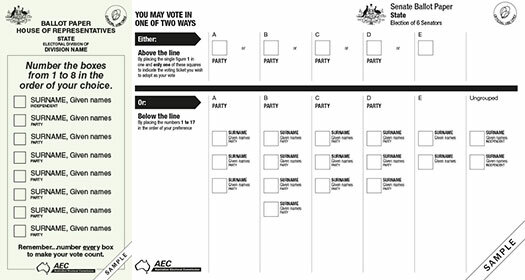 The issue of the electoral system is a national one, according to Miragliotta, Errington & Barry (2013) the Australian Electoral Commission estimated in 2013 that 1.5 million names were absent from the electoral roll. Former PM Julia Gillard Permitted the introduction of AEC being able to automatically enrol a citizen when they turn eighteen. Many could see this as removing the freedom of the individual to choose to vote or not. Although, there is a benefit in the entire population voting for their preferred political party. According to Miragliotta, Errington & Barry (2013) the benefit of voting is that we get to hold an elected representative to account. However, one may ask if that is truly the case. As the power to remove a Prime Minister when they break policy promises when elected, is false as there is no actual power given to Australians to remove a Prime Minister in power (Commonwealth of Australia). The double dissolution does exist; however, according to Corcoran & Dickenson (2010) the governor general has the power to dissolve parliament, but traditionally only does so on the advice of the prime minister. This suggests that the Prime Minister does not get held accountable for any or all actions taken which may be deemed as wrong (Commonwealth of Australia). Yet, they have the power to rule the entire country and make many decisions with the potential to ruined millions of people’s lives. An example of a Prime Minister breaking promises is Tony Abbot, most of the Prime Minister’s policies are being fought and not passed either, as well as Treasurer Joe Hockey’s budgets not passing through parliament and yet the governor general has still not called a double dissolution. 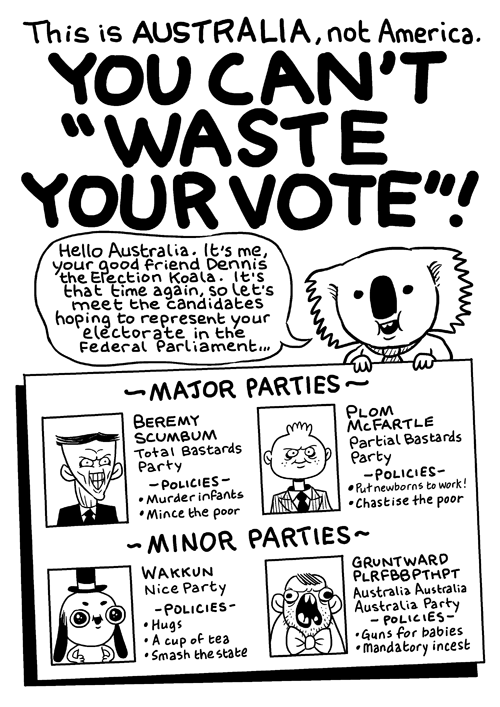 Australian electoral Commission (2015) suggest that there are 1, 100, 446 missing from the electoral roll which means there is only 93.2% enrolled in Australia. Northern Territory has the lowest number of eligible Australians enrolled at 79.3% of the eligible population (Australian electoral Commission 2015). Thus the government attempts to remove the Australian people’s freedom to make them vote, but taking away the freedom of the people is not how to go about it. Corcoran R & Dickenson J 2010, A dictionary of Australian politics, Allen & Unwin, Crows Nest. Miragliotta, N, Errington, W & Barry, N 2013, The Australian Political system in action, Oxford University Press, Melbourne.